Magnolia is one of the well-traveled flowers in the world, with species in South Asia, the Pacific, and North America. It is in the family of Magnoliaceae family. The term Magnolia is a general name that refers to the flowers that are in the family stated above. These types of flowers are native in East and South Asia. These types of flowers grow on shrubs and they are have adapted over time this has enabled them to survive even under harsh conditions. Not only have the flowers adapted but they have also developed nutrients that are valuable and organic compound. This has helped the flower to have nutritional benefit to human beings. Magnolia plant has broad green leaves and large white flowers with spear-shaped petals that exude an alluring scent. Also called white champaca, white sandalwood, and white jade orchid tree, magnolia flowers have been used in traditional Chinese medicine for hundreds of years to move qi, the vital force that regulates the body’s organ systems . Practitioners of traditional Chinese medicine believe that when qi becomes blocked or stagnant, illness is the result. A fragrant tea known as yulan is also steeped from magnolia flowers in China, and the blossoms are used in temple ceremonies in India to mark life milestones such as births, deaths, and religious holidays. In South Asia, the scent of magnolia flowers is associated with renewal, growth, and new beginnings. 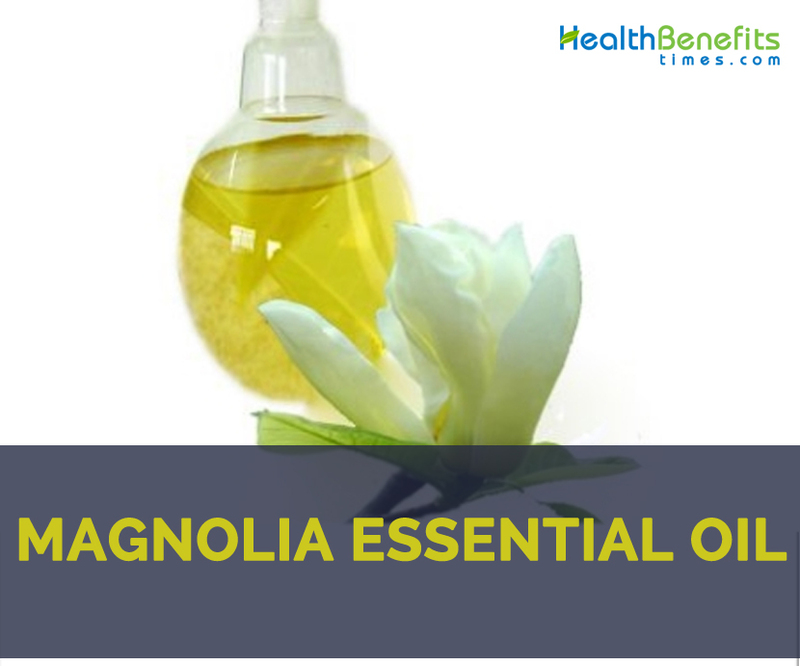 Magnolia Essential Oil is extracted from the flowers of the Michelia Grandiflora. Magnolia essential oil is pale to orangish yellow with a crisp, green, not too floral scent with a tropical-fruity hint! The essential oil regardless of it being beneficial to human beings, one is reminded to be cautious when using it. Pregnant women and women who are lactating should not use products that do have the essential oil products. Everyone should consult with their doctors before they can use the product. The barks of the shrubs can be peeled off and are boiled, rolled, steamed or dried in an herbal tincture. The essential oil is known to help in prevention of some types of cancer particularly the prostate cancer. This is because of its bark has the Magnolol compound which help in suppressing the multiplication and the spreading of the prostate cancer cells. Flowers and the bark of magnolia flowers contain compounds that are volatile and the compounds are considered calming agents. Soothing or relaxing agents are well known to help in reducing tension on muscle and inflammation. The consuming of the essential oil help in reducing the discomfort that is experienced when is having their menstrual cramps or any discomfort. Apart from that, this essential oil is good in alleviating the pain and is also good in reducing any mood swings. One major benefit of using essential oil in relieving menstrual cramps is that it offers a fast relief. For people who are suffering from Alzheimer’s or any other disease that is related with cognitive ability they can use Magnolia essential oil. This is because of the Magnolol compound that is present in the essential oil. The Magnolol compound helps in stimulating the acetylcholine levels in the brain. 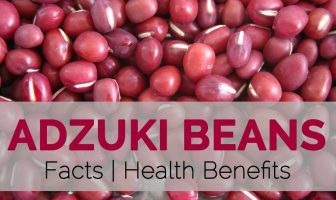 There is also the Honokiol which helps in increasing the brain activity mainly when it comes to memory. This helps in improving the memory of those people, who are suffering from any cognitive disorder by helping in preventing any stress that is oxidative. For a long time the essential oil has been used for treating diseases that are relate to the respiratory system. Some of these respiratory diseases are coughing, asthma, bronchitis and excess phlegm. This oil has the natural occurring corticosteroids in their compounds help to treat even stubborn diseases which are hard to treat. For instance it is very hard to treat Asthma since the patient who is suffering from it needs to use an inhale which has steroids. Diabetes treatment is among the functions of Magnolia essential oil which has led to most people using it. The barks of the Magnolia shrubs have the compounds which have similar qualities as Cortisol. Cortisol is a reducing factor which helps in the reduction of stress in the body. Cortisol plays a huge role in helping in the regulation of the amount of blood sugar that is released by the body. The active ingredients in Magnolia essential oil perform this role very effectively which helps in preventing one from getting diabetes. For people who are already suffering from diabetes they can use essential oil to help them keep their level of blood sugar in stable conditions. For people who are underweight the use Magnolia essential oil can help in increasing their appetite. This is because of the natural occurring corticosteroid which leads to one developing craving for food. Magnolia essential oil is known for stimulating the lymphatic system and helps in making the liver to function properly and help in toxins elimination. Magnolia helps in preventing fat from building up around the liver. The buildup of fat around the liver is among the major causes of liver failure due to various reasons. For people who have quit alcohol and who take alcohol they can still use this essential oil to help in protecting any damage caused by alcohol to the liver as they age. The corticosteroid that is found in Magnolia helps one in not getting allergic reactions. This is by increasing one’s strength when it comes to the allergy they have towards things. Magnolia essential oil can be used to treat allergies, asthma, and respiratory infections. It offers relief for allergenic reactions and congestion. The oil is occasionally applied topically to reduce fevers, regulate female hormones, and as an emollient that nourishes the skin and balances oil secretions. Magnolia essential oil is thought to calm the nerves while stimulating awareness, increasing overall confidence, and acting as an aphrodisiac. It has been effective in the treatment of scars caused by acne and wounds. It has also been useful in the repair of damaged skin cells and pigmentation resulting from sun burn. Magnolia is also known to be helpful in relieving respiratory tract conditions including colds and coughs as well as an effective remedy for joint pain caused by gout and rheumatism. When used as a massage, Magnolia essential oil brings relief to joint pain and related conditions. Because of its fragrance and antibacterial properties, it is used as an additive in gum and mints to treat bad breath. Magnolia essential oil should not be used by pregnant women and breast-feeding mothers. Do not use pure essential oil on the skin. Intended for topical application only. Magnolia is a flowering plant that is in the family of Magnoliaceae family. The term Magnolia is a general name that refers to the flowers that are in the family stated above. These types of flowers are native in East and South Asia. The magnolia essential oil is steam distilled from the flowers of Michelia Alba, a hybrid species created by crossing the South Asian Magnolia champaca with Magnolia montana. It is pale to orangish yellow with a crisp, green, not too floral scent with a tropical-fruity hint! Pregnant women and women who are lactating should not use products that do have the essential oil products. Everyone should consult with their doctors before they can use the product. The oil is also sometimes applied topically to reduce fevers, regulate female hormones, and as an emollient that nourishes the skin and balances oil secretions.